Need an electrician in Motueka? Servicing clients across the Motueka, Mapua, Tasman, Moutere, Riwaka and Kaiteriteri areas. You can depend on Laser Electrical Motueka! Over 12 years of experience in providing electrical services. Servicing all areas of Motueka and the wider Tasman area. Laser Electrical Motueka specialise in all aspects of residential electrical wiring, including new builds, renovations, security, such as alarm systems, gate alarms and sensor lighting, new and retrofit air conditioning units and positive air pressure units such as Smart Vent. Laser Electrical have secured a number of long term industrial and commercial customers in the Motueka and surrounding areas, and are currently working on a major coolstore complex to support local orchardists. When you hire Laser Electrical Motueka, you'll receive our professional and reliable service, guaranteed. Laser Electrical Motueka works with full support from the wider Laser Group Network to achieve this high standard of quality work, customer service, and affordable solutions, whether you are a residential, commercial or industrial customer! Laser Electrical Motueka specialise in all aspects of residential electrical wiring, including new builds, renovations, electronic security, alarm systems, gate alarms and sensor lighting, new and retrofit air conditioning units, including positive air pressure units such as Smart Vent. 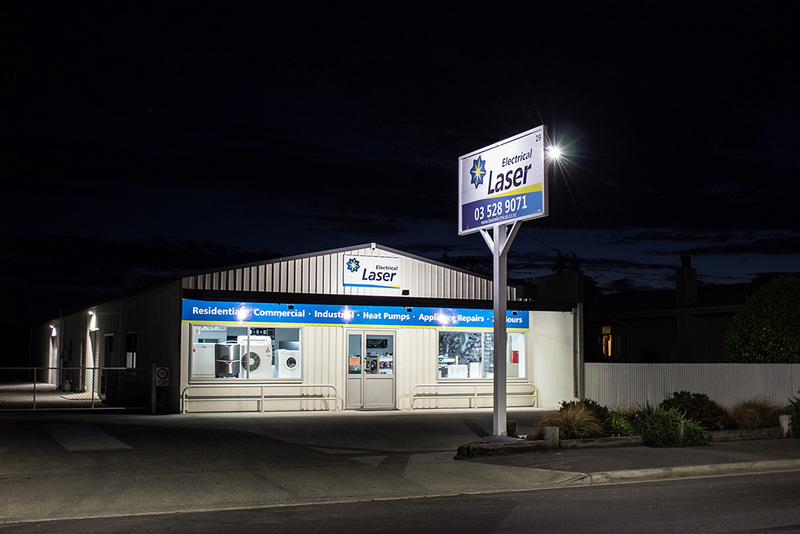 Laser Electrical Motueka also completed a wide range of electrical solutions for a number of industrial and commercial customers who enjoy the reliable, punctual, honest and professional work relationship. These solutions support them in servicing their customers better. Laser Electrical Motueka provides 'Totally Dependable' appliance repair services for clients across the Motueka, Mapua, Tasman, Moutere, Riwaka and Kaiteriteri areas. 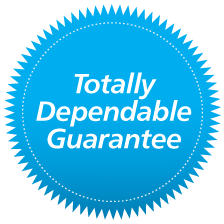 We have a number of appliance repair specialists who have a reliable and proven record with an increasing customer base. We provide fast and efficient repair on all major brands of washers, dryers, fridges, dishwashers, stoves and cooktops. We have a selection of second hand appliances for sale in our showroom, giving our customers an affordable solution to replacing any faulty whiteware. At Laser Electrical Motueka we have a large selection of Mitsubishi and Daikin heat pumps that we recommend for fitting. Heat pumps can be supplied and fitted, or we can fit your pre-purchased heat pump. No job is too big or small for our electricians - we respond promptly to any call-out, and can take care of all your electrical services and needs! Greg and his team have been employed by our school since 2011, on such jobs as installing street lights, emergency lights, maintenance and repairs and problem-solving electrical issues." Having used Laser Electrical Motueka for many years on our new home builds and alteration in and around the Motueka district, I have no hesitation in genuinely recommending both Greg and his staff. Mike McLean Homes has continued to be loyal to Laser Electrical Motueka." The work completed by Greg and his team at Laser Electrical has been outstanding. Right from the get go Greg has been efficient, helpful and really professional, plus the whole team are knowledgeable and friendly. We would certainly have no hesitation in recommending Laser Electrical Motueka for all domestic and commercial electrical work." As a school, we rely on prompt and efficient electrical services. Laser Electrical are our preferred electrical contractors; they provide a great service and charge very reasonable rates." Laser Electrical Motueka have been a pleasure to deal with throughout and each of the guys who came out to the house has also been very professional and helpful. I would highly recommend Laser to anyone who asked me." Great team who do a great job, thanks for a nice dry and warm bathroom. Will be back to do more."